CHARLESTON CLEANING SERVICE, 843-805-7000, Thanks from Mick & Deb! 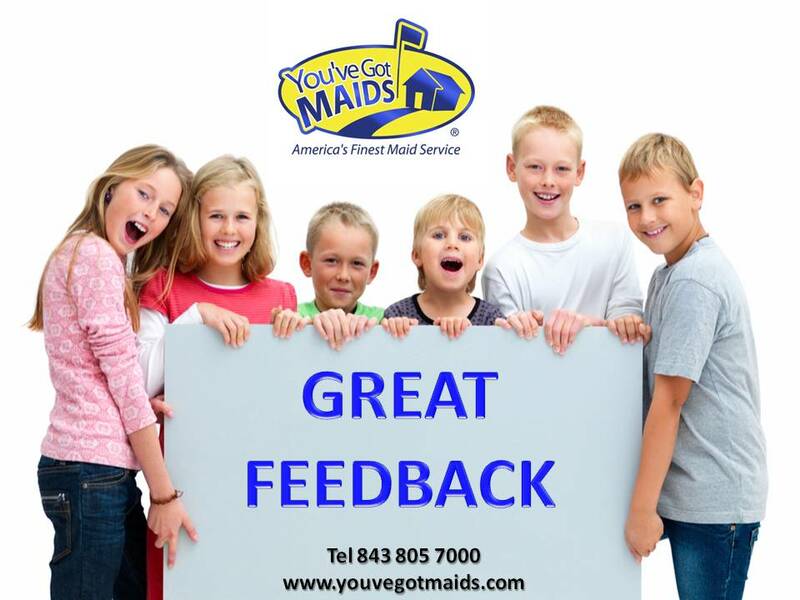 Superb Daniel Island Maid Service Review! Call 843-805-7000! Mt.  Pleasant House Cleaning Earn Outstanding Service Compliment! Mt. Pleasant, SC -- You can expect great Mount Pleasant house cleaning from local You've Got MAIDS house cleaning franchise owner Tom Christenson & his team of house cleaners. If you would like to upgrade your house cleaning in Mount Pleasant call Tom at 843 805 7000 or click the following link to initiate a house cleaning estimate online. Fantastic Charleston Maid Service Review! ISLE OF PALMS HOUSE CLEANING THUMBS UP FROM HEATHER! 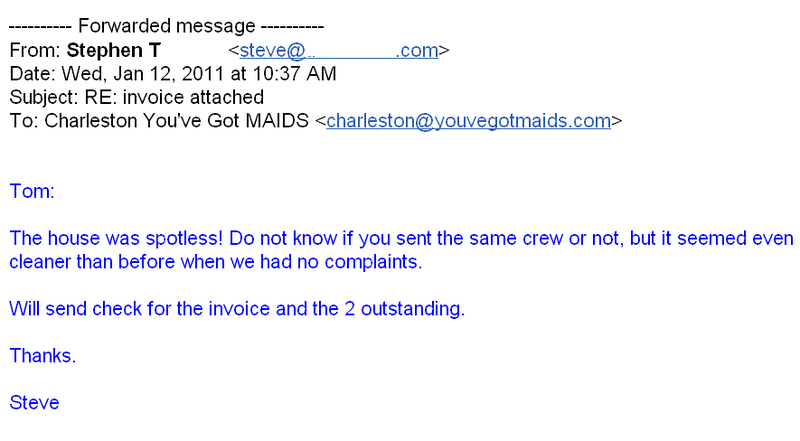 Here'e great maid service feedback from a Client in Isle of Palms, SC. If you live in IOP or Sullivans Island be sure to call Tom at You've Got MAIDS to find out why Heather likes us so much!